What makes you happy?? What keeps you sane in between life’s chaos? Many on Bonaire find their zen on the water with the wind. The windsurfer is a unique character. Most are heavily addicted to weather sites and most own some sort of wind meter. Many plan winter escapes to warmer climates in search of the wind. 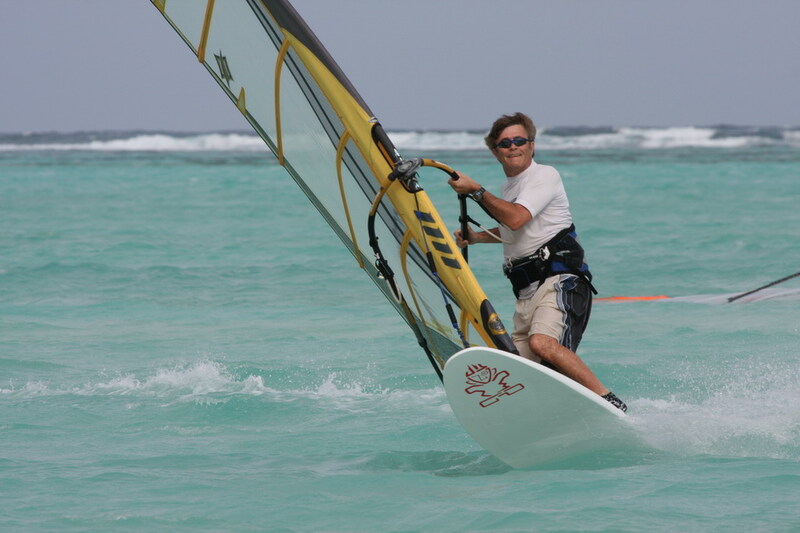 Bonaire is one of the Caribbean’s hottest windsurf Mecca. My friend Carole shot this photo of Trevor, her wonderful better half. He clearly found his bliss. Trevor and Carole and their windsurf clan escape to their island villa twice a year for weeks of windsurf fun. Light or high wind, the Hibdiges seek out the wind on Lac Bay. 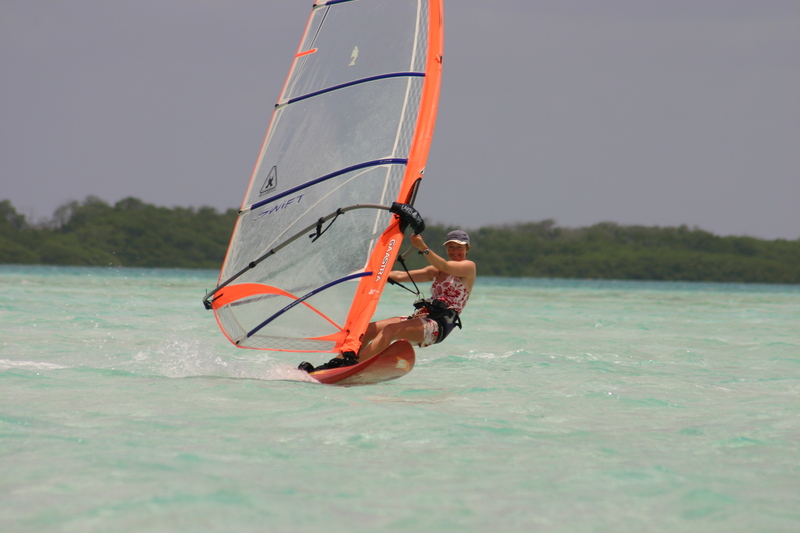 Too find your windsurf bliss contact ann@bonairewindsurfing.com. You can even rent Trevor and Carole’s lovely Lac Bay villa. Ask for details on this lovely 4 bedroom escape.